It's your last chance to join the Official Unofficial 2018 Secret Santa Nano-Reef Gift Exchange, don't miss out! Share some holiday joy with all of your friends here @ Nano-Reef.com, sign up by Tuesday Nov 20 at noon! Don't miss October's featured reef profile, Sharbuckle's stunning 40 gallon peninsula reef aquarium featuring an incredible collection of gorgonians and leather corals, coupled with a unique display refugium! We're featuring community member WV Reefer and her 12 gallon "Long and Dirty" nano reef for our September Reef Profile. This beautiful nano reef is built on a foundation of natural simplicity, foregoing all mechanical and chemical filtration to rely on water changes alone! See this aquarium's progression over the past two and a half years, and learn how to build a natural reef of your own! Are we over complicating tanks? Are we over complicating tanks? We're having a great discussion about getting back to the basics of reef keeping, share your thoughts and experiences! This month we're celebrating the 10th anniversary of community member Nano Sapiens' magnificent 12 gallon nano reef aquarium! Standing as a true testament to the long term success of all natural nano reef systems, this tank is sure to impress. Don't miss his words of wisdom for all you aspiring hobbyists out there! MACNA 2018 Nano-Reef Community Meet-up! Meet your fellow Nano-Reef Community members at the MACNA 2018 Conference in Las Vegas! Join members of our awesome community in the official MACNA conference rooms on Saturday September 8th starting at 11:45 AM! We'll be convening for a real-life meet and greet, take a break from the busy expo floor and get know your fellow hobbyists! We'll have refreshments, Nano-Reef.com T-shirts, custom stickers and more! All are welcome to join us, even you lurkers out there 👋😉! Please RSVP on our community calendar and stay tuned to the event page for future updates! If you haven't seen July's featured reef profile yet, don't miss out! Eddy Putra's incredible 29 gallon SPS dominant nano reef from Bali is absolutely teeming with marine life! Learn all about this system and its first year and a half and progress. Get a personal behind the scenes tour of NanoBox Reef with community member Kdrof, who got to spend the day with NanoBox mastermind Dave Fason in North Carolina while his new LED light was personally hand assembled. Many thanks to Dave and NanoBox for your continued support! Don't miss June's featured reef aquarium! Community member Teenyreef shares the history of his inspirational 40 gallon IM NUVO Fusion nano reef and the progress made over its first two years of life. Brace yourself for some serious eye candy! Some people build bird houses, but on Nano-Reef.com, we build fish houses! 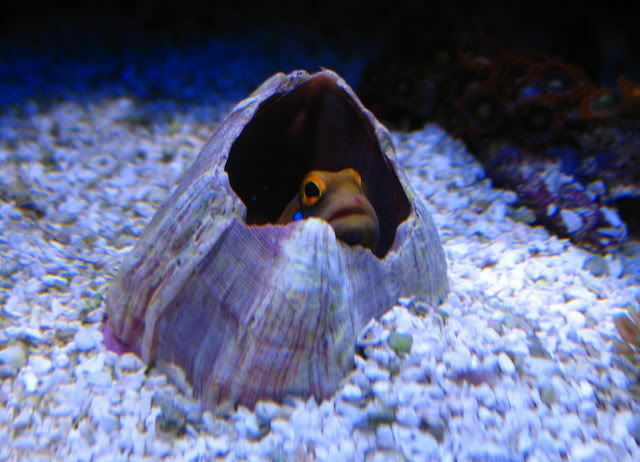 Don't miss community member Stoney Waters' classic DIY Jawfish House how-to guide and follow up discussion! Lots of interesting ideas on building burrows for fish. See more on the Nano-Reef Community Forums! Can you turn a half gallon betta tank into a reef aquarium? Absolutely! Nano-Reef Community member ajkochev shares their unbelievable 0.5gal betta cube turned reef aquarium, now 15 months old! 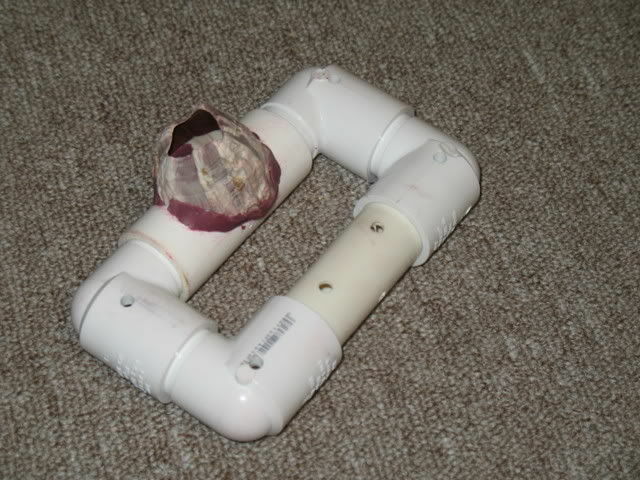 Don't miss the tiny DIY all-in-one filtration system! "Longtime FW hobbyist - first time Reefer..." Revisiting community member Dapellegrini's inspirational aquarium journal chronicling their incredible 5 gallon ADA pico reef aquarium. See how this October 2008 featured aquarium system was built from start to finish, and learn from the ups and downs along the way. Some coral reef footage I took in the South Pacific! Community member dpoltsdsu shares dive footage of coral reefs from around the South Pacific in French Polynesia and the Cook Islands. See some of the coral that we keep in our tanks out in the wild! Thanks for sharing dpoltsdsu! Give yourself a little underwater escape with May's reef profile! We're featuring community member SURVEYMAN46123 and his inspiring ephullyia dominated 10 gallon IM NUVO Fusion nano reef aquarium! Learn all about how this aquarium was built and see its progression over the past year and a half! Congratulations to community member Narzyzz_12 and his 29 gallon nano reef for being selected for our April 2018 Featured Reef Profile! His 3 year old BioCube aquarium is absolutely jam-packed with aquatic life, you don't want to miss this one! I feel blessed to be host to such an incredible community of people, I am in awe of the bonds that are formed, the knowledge shared and collective support of each other as hobbyists and friends. There is so much wisdom and creativity here, your contributions make Nano-Reef.com such a helpful resource for hobbyists all across the world. Thank you to everyone who dove in and posted a request for help, started a journal, a new discussion, offered answers to questions, and shared an experience. Through the ups and downs of the hobby, we stand by each other in support! Soon to be new dad question? Soon to be a new parent? Community members share their advice on having a reef aquarium in the house with a new baby. Join in the discussion and share your stories! There's just under 24 hours left to vote for your favorite pico reefs in our Creative Container Pico Contest! After 6 months of fierce competition, we have 20 beautiful container reefs that have made it to the end to compete for one of three prize categories! We need the help of the Nano-Reef Community to vote for the winners! Each contestant has put together a write-up of 250 words or less and chosen three photos to summarize their 6 month container reef experience. Cast your votes today! Seeking volunteers to write articles on these aquarium subjects and their related offshoots. We have so many great discussions here in the forums with tremendous solutions provided to common problems and experiences in the hobby, putting some of these ideas into article form can help provide consistent references for future discussion. Maybe there is a subject you are personally passionate about, which you can share in an article. Is there a question you're constantly answering here on the forums? Now is your chance to write an article for our information library! You don't have to be an "expert" to write an article either, all you need is experience!